In the last episode, we learnt that Cronos is no one but Mick Rory. He was recruited by the Time Council when Snart marooned him instead of killing him. He was captured in the end of the last episode. Also, the team decided to travel to the future this time. In this episode, we begin by watching Rip having a talk with Rory. Rory is full of vehemence. Rip apologizes to him for all the fiasco and asks for his help. He says Rory did nothing but follow his instincts, so he was not at fault. Rory still does not soften and threatens to kill the team. In the meantime, the Waverider arrives in 2147. Vandal is located to be residing inside the walls of Kasnian Conglomerate, a corporate dystopia which he would use as his first base of conquest in the future. I like the way Sara and Jax are getting chummy with each other. Their friendship is one of the pleasant things in the show. On the other hand, Kendra is having visions of her past life with Carter. This makes her feel like she’s cheating on Carter with Ray. Ray is disturbed to know this. The team makes their way inside the city under a disguise. Rip attends a meeting where Savage is trying hard to get his way with the leader of the conglomerate. He is trying to coax the leader into unleashing the Armageddon virus, which we know would ultimately be released into the atmosphere five years from the present timeline. To make things difficult for an already distraught Ray, he comes to know that he had a child in Star City which he didn’t know about. His successors now manufacture an army of autonomous ATOM robots which would later help Savage in his plans. Ray comes to know that the child was not his, but his brother’s. 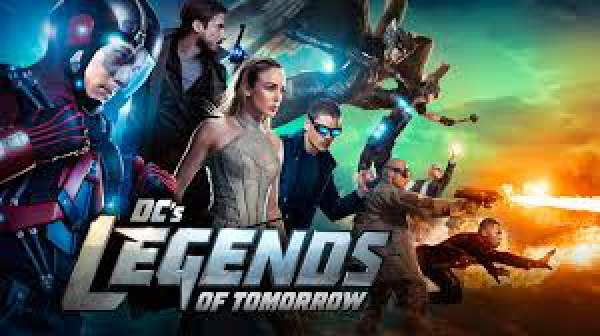 Rory makes up with Snart and warns the team about the upcoming danger. Meanwhile, Savage becomes successful in speeding up the timeline. For more, we’ll have to wait for the next episode.